Economist magazine, on a very regular basis has been updating us on what plagues Ireland, most of which revolves around the Housing collapse and the economic downfall which came down crashing as speedily as it had gone up since early nineties. However, is the Irish collapse just that or is more endemic, widespread and depressive? It certainly requires a closer look. During my recent stay in UK (Sept –Dec 2010), I got a chance to visit Belfast in N. Ireland and it was during this visit to this troubled historical town that I took an instant liking to what is being Irish all about. It was during this visit that I realized that there are two important aspects of Ireland. Firstly, it’s all about the troubles that have plagued N Ireland especially Belfast and the historical-religious perspective therein. The most intriguing & baffling network of physical peace walls cutting across North and NW Belfast is the tall manifestation of the kind of subdued tension that still simmers somewhere. The images still haunt me often. I shall make an attempt and write about it sometime later. Secondly, at a time when Catholicism and Nationalism weren’t working, the Celtic Tiger was embraced not just as an economic identity but a substitute identity with such fervor that it almost was filling a void till its sudden demise and shock happened. 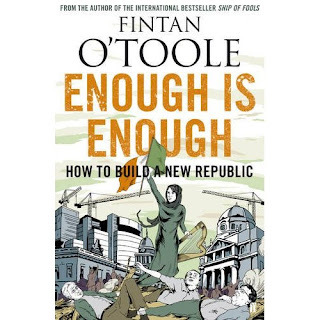 A very dear 'Irish' friend who watched with induling interest my growing curio sity & obsession with the ‘Emerald Isle’ presented me a book “Enough is Enough –how to build a new republic’ (Fintan O’Toole,2010) to enable me meander my journey in this exploration. O’Toole had written another book in 2009 titled “Ship of Fools: how stupidity and corruption sank the Celtic Tiger”. The idea that Ireland had found salvation in its embrace of ‘free market globalization’ ceased to be an ideology. The polemical analysis of depressing scenario had made people angry and his latest book is an attempt to come up with possible solutions. There is an uneasy feeling for going back to the past but without the comforts of the past –institutional Catholicism or the Nationalism. The sense of returning to the well-worn path of failure embodied in deep-seated national reflex – emigration is back with greater intensity. While the underlying “Irish sense of doom”, the bitter spectre of self-contempt that ‘we would always screw it up” is all back among the common man (I am not value judging- its more of a self actualization), the profound self delusion among the Irish political, administrative and media elite continues to be that what happened was an unfortunate albeit grim, setback on the road to nirvana and all that was needed in response was, to quote Taoiseach Brian Cowen, ‘temporary adjustments’. 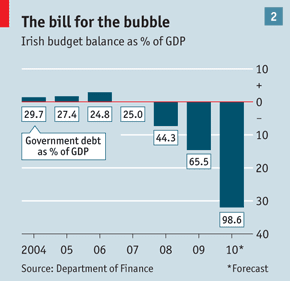 The collapse of the Irish economy is not primarily in banking or property development (housing) or the lack of regulation but in the political culture that created a lethal cocktail of all of these elements. No solution in isolation will work unless a radical transformation of the existing political culture takes place. 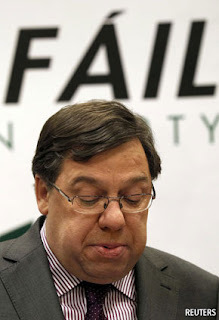 Political culture in Ireland is almost equal to “Fianna Fail”. Since the formation of the first Fianna Fáil government on 9 March 1932, the party has been in power for 61 of the last 79 years. It has been in government almost continuously since 1987, with the exception of a 30-month period between 1994–1997. 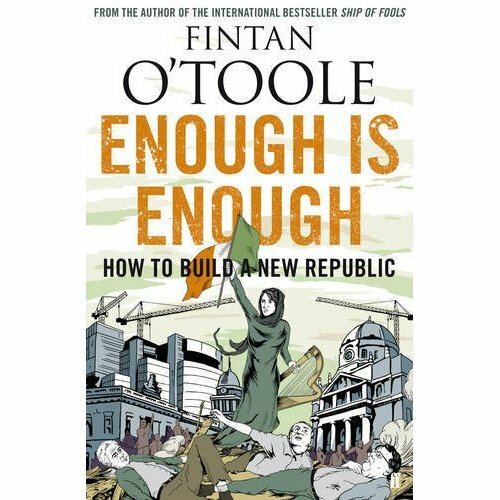 The myth of Republic – the notion of republican democracy has deep roots in Ireland. The democratic Pregramme affirms that “all right to private property must be subordinated to the public right and welfare’. It sets down the governing principles as ‘Liberty, Equality and Justice for all’. It declares the right of every citizen to an ‘adequate share of the produce of the Nation’s labour’. In real Ireland however, private property almost always trumped the common good. A successful democratic state can be built only on the basis of a thriving culture of citizenship. What exists in Ireland a host of unorganized peasant proprietors in parishes, each pushing its own trivial agenda and its like energy of self-interest in its lower form. Even as a description, the Republic barely exists. One set of limits was imposed by the overwhelmingly Catholic nature of the State. It was the major temporal power with direct control over large elements of public realm including health and education system. Another limiting factor in the process of creating a republic is corruption. “It’s not what you know but who you know” was the all pervasive motto in Irish life. In one of the survey, the proposition that “there is a Golden Circle of people in Ireland who are using power to make money for themselves” was agreed by 89% of the people. The myth of representation – there are two strong notions in Irish culture – one is localism. In rural Ireland there still is the sense that the state is “them up in Dublin”. The other concept is that of a “pull”. Pursuit of personal issues as a politician seems to be the order of the day. The myth of Parliamentary Democracy- there’s a feeling that there’s not only a ‘glass ceiling’ but also a ‘class ceiling’ suggesting that Parliament continues to be the ‘preserve of the elite few’. Starker still is the shocking low level of women representation. The pattern of female exclusion from the higher reaches of Irish politics has been long established. The system gives a Parliament that does not hold government to account, does not create laws, does not have the power to conduct serious investigations, and is not representative of people in terms of class, age or gender. The system needs complete overhauling. The myth of Charity – deeply engrained in Irish culture is the idea that everything that was decent came, not from the State but from the Church. It was not an entitlement but a blessing. And Ireland has to disentangle itself from this myth if the State has to be made accountable to people. It is baffling how Ireland has allowed to manage the social service in a secretive, hierarchical organization which has been accountable to no one. The church still controls 2899 of the 3282 primary schools. And the control is not by default but by design and the power is increasingly anomalous. It is also surprising that Irish law specifically prohibits the right of both school and college education to discriminate on religious grounds. The moral monopoly of Irish church and its temporal power has made the system lazy and weak. As thus is clear, the problem is not just the financial and housing collapse. Its endemic and revival depends on the systemic changes in the psyche that Irish is all about. The Government has the responsibility of providing for every citizen – security, health, education, equality and citizenship and in the process instills and restores pride, confidence, optimism and creativity among its citizens. With the election results out today and while Fiana has failed and with Fine Gael & Labour in power, I sincerely expect and hope that the new Government starts from scratch and go for real systemic improvements in the governance.